Overall, Joel. 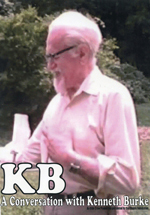 "Kenneth Burke and the Problem of Sonic Identification." Rhetoric Review, vol. 36, no. 3, 2017, pp. 232–43. In "Kenneth Burke and the Problem of Sonic Identification," Joel Overall discusses Kenneth Burke's contribution to the field of sonic rhetorics. Namely, Overall contends that Burke's conception of identification can be applied to sonic rhetorics to form sonic identification, a term that melds Burkean scholarship and sonic rhetorics. Through the analysis of two of Burke's reviews for The Nation and Burke's early definitions of identification in Attitudes Towards History, Overall offers "a Burkean theory of identication that more fully accommodates sonic symbols such as music" (233). Burke served as a music critic for The Nation from 1934 to 1936, right in the midst of Hitler's rise to power in Germany. During this time, Burke reviewed Paul Hindemith's Mathis der Maler and Roy Harris's "A Song for Occupations." According to Overall, Burke saw in the Nazi music scene sonic identification that "merged problematic ideologies while concealing divisions" (235). Hindemith weaved together conflicting identifications of Nazism and traditional German values in his Mathis der Maler in a way that did not preserve division. Burke saw this as deeply problematic and led him to "consider a more balanced approach between advocating sonic identification while preserving division as well" (235). In the second half of the essay, Overall discusses the term integration in terms of sonic symbols. He says that "music integrates a variety of musical forms and the many disparate experiences of the audience into one symbolic synthesis, while erasing any reference to prior divisions" (239). Sonic symbols, according to both Burke and Overall, "lack the linguistic material of 'the negative'" (239). This is how sonic identification is problematized for Burke. If there is no negative present in sonic identification, there can be no division. Joel Overall skillfully weaves Burke's theories of identification into sonic rhetorics. His contention that Burke's contribution emphasizes "the fragile nature of sound, meaning, and division in sonic symbols" (240) is articulated through his use of Burke's work as a music critic and his involvement in the Nazi Germany music scene. Overall's work is relevant today as the field of sonic rhetorics continues to grow, and hopefully Burkean concepts will continue to open the field.